Kinsmen Community Bowl Is This Sunday! | Sack-Vegas!!!! Kinsmen Community Bowl Is This Sunday! 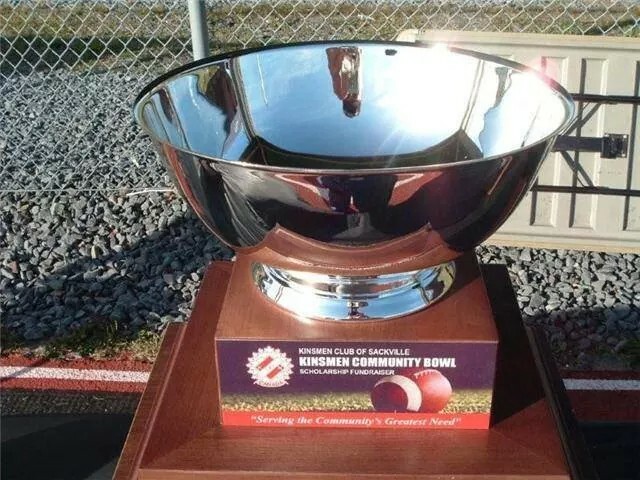 The Kinsmen Community Bowl trophy (above) is awarded to the winner of this annual Varsity game between the Sackville High Kingfishers and the Lockview Dragons. The action is fast and furious and fun for the whole family. Head on down and cheer on your team! Posted by Sacky on September 13, 2014 in Community Events.